This will be my final card I make as a member of the C.R.A.F.T. Design Team. It has been a fabulous 4.5 years and I will truly miss working with Jo and her wonderful team. The C.R.A.F.T. 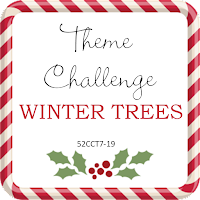 challenge this week is to distress our project. 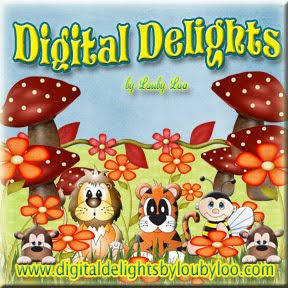 I used a SVG digital file simply called Ice Skate card delightful cut by Digital Delights by Louby Loo. I downloaded the project to Cricut Design Space and cut out the pieces. Before assembling the skate I distressed and inked each piece using the Tim Holtz distress blade tool and Distress ink. Vs using the circle holes for the skate, I opted to use my We R Memory Keeping Eyelet punch and used twine laces. I added a Merry tag by Kaisercraft. Please support our wonderful sponsors who graciously provide our weekly and monthly prizes! 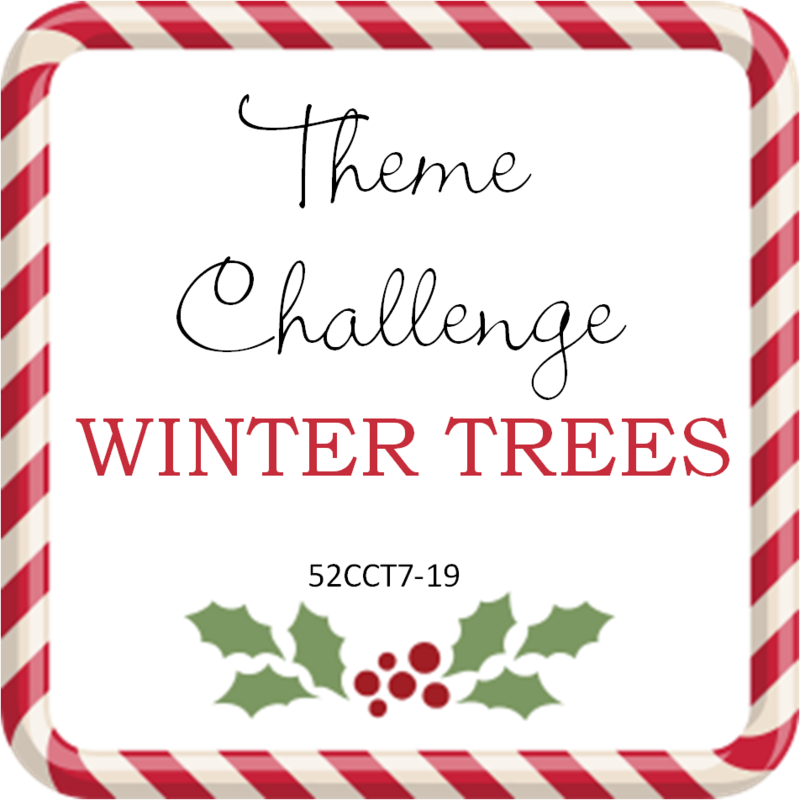 Allison from the 52CCC Design Team has chosen Winter Trees as the Theme Challenge this month. I used a new stamp from Penny Black called, Snowy Village 40-558. I started by stamping the image using MFT Black ink. Next, I coloured the building with Copic markers. Using blue toned Oxide Distress Inks I sponged the background. For the finishing touch, I flicked water droplets over the image to produce the oxide effect. Please join us for our weekly Christmas Card Challenges! This week’s challenge at CHCC, we are looking for a card without a sentiment. 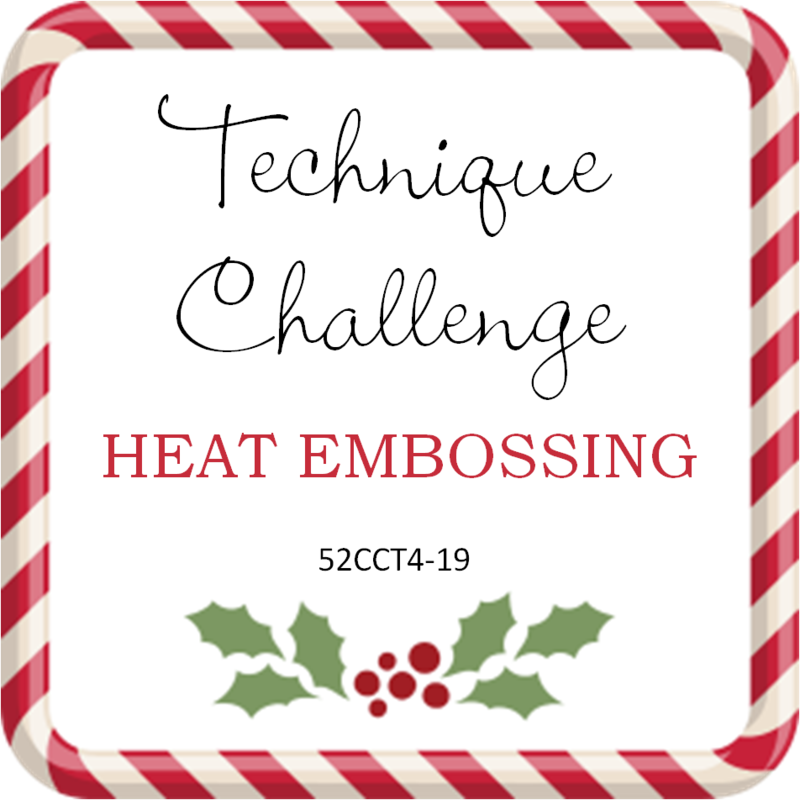 I chose to use a stamp by Stampendous called, Christmas Cottage. 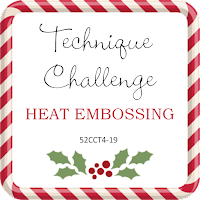 I started by embossing the image with white embossing powder. Nxt using Oxide Distress Inks I coloured the card front using yellow, oranges and reds. I cleaned the ink off the embossing, layered the card on card front then flicked water droplets over the front for effect. Please join us each week for a new challenge to help build your 2019 card stash.